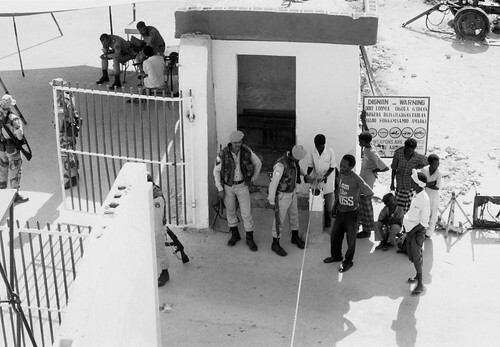 Pakistani soldiers and Somali men at a security checkpoint at Mogadishu airport. On the far left are some American soldiers. On the top right you can see the wheel of a destroyed artillery piece.